The transition from student to professional life is one that many young adults find difficult. By helping students learn to be professional, you as an instructor can help ease this transition. If your students at least know how to act and work in a professional setting, adapting to the other changes that come with the transition from college to working life will be easier. Many instructors assume they are helping students learn to be professional by setting deadlines for assignments, setting attendance policies and including group projects in the curriculum. However, there seems to be a disconnect. Students do not always realize that these policies are in place in order to prepare them for working in professional settings. 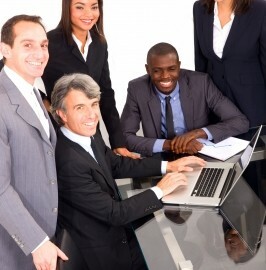 They assume that the challenge of working with non-contributing individuals on a group projects is unique to school, when it will really prepare them for when the same situation arises at work. Tell them that the reason they’re not allowed to skip class is that they won’t be able to do so when they get jobs. Let them know that the struggles of group work will not disappear after graduation, and the projects they’re completing will teach them how to handle it. We offer software solutions to prepare your students for the workforce. Contact us at Labyrinth Learning to learn more about our products and how they can help simplify the experiences of teaching and learning.